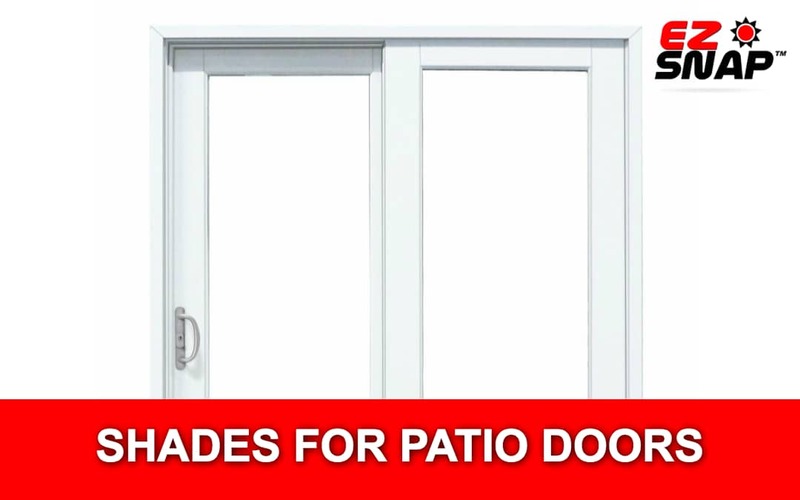 How to Install EZ Snap Shades on Sliding Patio Doors? In some cases EZ Snap® fasteners stick out too far and the door won’t slide open without knocking them off. First check to see how much clearance you have between the surface where you will be mounting the EZ Snap® Fasteners and the surface that will be sliding past the snaps. You’ll need 3/4” clearance between these surfaces. 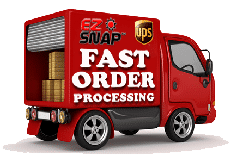 This clearance needed for EZ Snap® Fasteners is the same, whether you are using the Stainless Screw or the 3M Adhesive Studs. Mount 3M Adhesive Studs directly on the patio door glass to gain more clearance. Use Velcro on the patio door glass to gain more clearance. Mount your 3M Adhesive Studs onto the existing bug screen frame for one of the windows and use the outermost panel to mount the other shade screen onto. This works well most of the time since the bug screen frame usually has lots of clearance from the sliding door. Note that if you install EZ Snap® Shade Mesh over top of your bug screen, a moray pattern will appear. This does not affect the performance of the Shade Mesh, but will affect your view. Optionally, you may remove the bug screen from the frame to avoid this issue.